Snakes are an important motif in Asian Mythology, from the many myths and legends, they are considered as deities, that maneuver through their body parts, transitioning between a human head to the body of a snake by shape shifting. The legend talks about a Snake Goddess who was powerful, vivacious and seductively gallant, possessing a supreme gemstone. A collection of three plinths design for Bvlgari Short trailer from the exhibition entitled “Serpentiform” to be launched in August 2017 in Singapore. 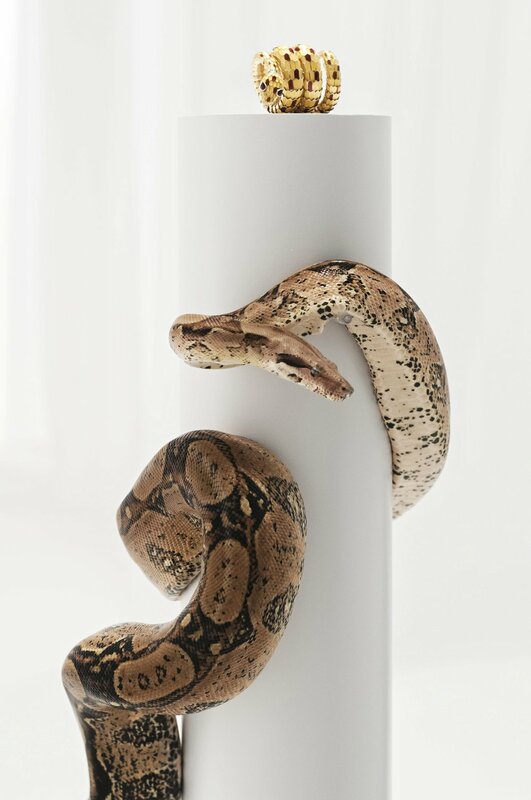 Within the video concept each piece provided the atmosphere to create a dialogue between the jewelry and snakes in which these ones are inspired.